We’re terribly excited to yet again be a part of the Utah Beer Festival! 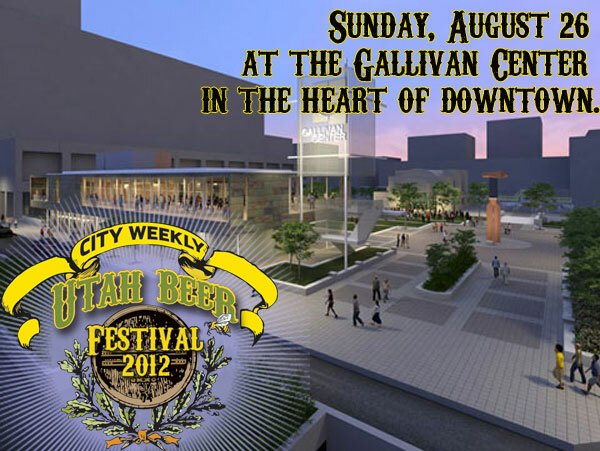 This year it is being held on Sunday, August 26th at Gallivan Center. Last year was a big hit and we loved meeting all of you Utah beer connoisseurs. The Utah Beer Festival is a way for Utah breweries to show our pride for our home state by bringing out our best micro-brewed beers. The world may not think that Utah has good beer, but we all know the truth (hint: they’re wrong)! We will be coming ready to show off our favorite homemade beers if you come thirsty and ready to drink in the park. Last year we brought the Elephino Double IPA, Le Quatre Saison, Honey Wheat, and Amber Ale. You’ll have to come this year to see what we’re bringing, but we promise not to disappoint!